Dryer Vent Installation Chicago 773.484.3509: Dryer Vent Wizard services North Side Chicago and North Shore Suburbs, Cook and Lake Counties, Evanston, Wilmette, Glenview, Deerfield, Gurnee, Highland Park, Lake Forest, Mundelein, Vernon Hills, Lincolnshire and neighboring cities and communities. Chicago, IL – The Chicago Dryer Vent Installation Wizard has earned the service industry coveted 2013 Angie’s List Super Service Award. This award is presented to approximately 5 percent of all the companies rated on Angie’s List, the nation’s leading provider of consumer reviews on local service companies. 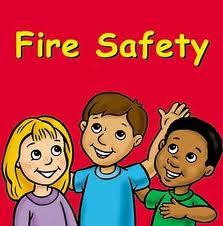 The main focus of Dryer Vent Wizard (http://www.dryerventrepairchicago.blogspot.com/) is dryer fire prevention through “urgent response” dryer vent service, including commercial and residential dryer vent cleaning, dryer vent repair and new dryer vent installation. Regularly scheduled dryer vent inspection and cleaning service will extend the life the dryer, improve dryer performance and eliminate a fire hazard. Dryer vent cleaning promotes faster drying time to reduce energy waste and prevent premature breakdown due to overheating. Faster drying time reduces wear and tear on clothing and the appliances. Proper dryer vent installation is also critical to safety and proper dryer performance. Most dryer problems are directly related to the dryer vent system. The Wizard finds a problem with 9 out of 10 dryer vent inspections and he only installs new dryer vents according to current building and safety codes. Angie’s List Super Service Award 2013 winners have met strict eligibility requirements including earning a minimum number of reports, an excellent rating from their customers and abiding by Angie’s List operational guidelines. Dryer Vent Wizard is the highest qualified dryer vent service provider in the nation with over 60 franchised locations in the US. Mory Matias serves the North Shore Chicago area, Evanston, Deerfield, Gurnee and surrounding cities and communities. Visit http://dryerventcleaningchicago.net/ to learn more. Scheduling Error becomes a Blessing! Is your Dryer Vent Safe? Does your Dryer Duct look like this? Expensive Lesson Learned when Owner Replaces Clothes Dryer! Mory Matias, who used to work in product development, is now dedicated to helping his local community prevent easily avoidable dryer fires. He is committed to providing a quality service for home and business owners that will help them achieve tangible safety and savings through regular dryer vent maintenance. According to Mory Matias, owner of Dryer Vent Wizard of Northshore Chicago, most consumers are unaware that annual dryer and dryer vent maintenance is required to keep the dryer running properly and to prevent dryer fires. Additionally, annual maintenance can save energy and associated costs. When a consumer finds their dryer taking multiple cycles to dry clothes or if it keeps stopping during a cycle, the cause could be lint accumulation in the vent line, causing the dryer to work inefficiently or not at all. Annual maintenance can mean lower energy bills, since the result is the dryer not having to work so long and hard to dry clothes. In addition, clothes don’t wear out as quickly when they don’t have to go through multiple cycles. While cleaning a dryer vent may seem like a very simple and sensible thing to do, the fact of the matter is, many people just don’t do it. Time is a precious commodity for most people today. 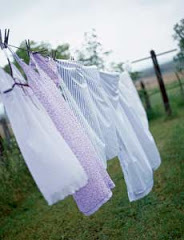 Busy households have an urgent need to get their dryers up and running safely and efficiently. This is why they call Dryer Vent Wizard to help them obtain a quick solution to their dryer vent problems. Dryer Vent Wizard services North Side Chicago and North Shore Suburbs, Cook and Lake Counties, Evanston, Wilmette, Glenview, Deerfield, Gurnee, Highland Park, Lake Forest, Mundelein, Vernon Hills, Lincolnshire and neighboring cities and communities.